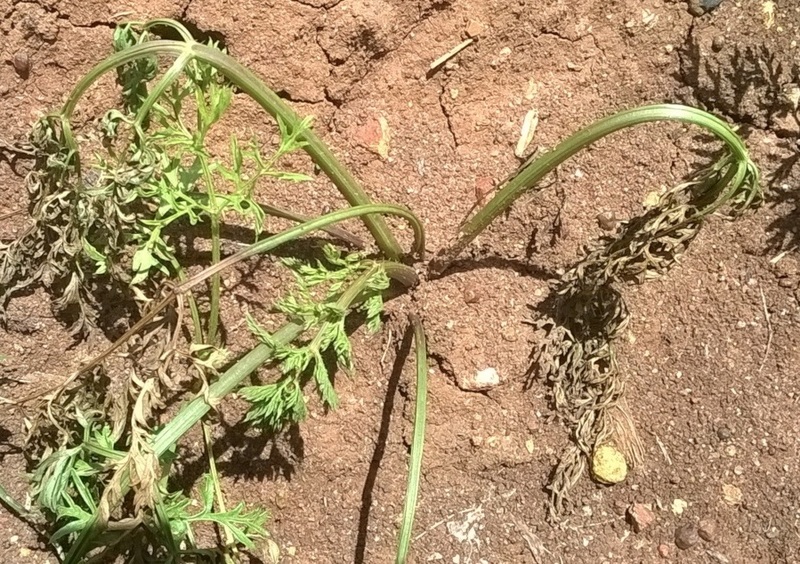 During 2016-2017, carrots (Daucus carota) with severe soft rot symptoms on the tap root, associated with a foul odour, wilting and collapse of foliage (Fig. 1), were collected from the rural districts of Kolar, Chikkaballapura and Bengaluru of Karnataka state, India. Disease incidence was 20-30% in affected fields. Samples of two or three roots were collected from each of ten different fields. Isolation was done using green pepper fruits as enrichment hosts (Fig. 2), followed by streaking on nutrient agar as described by Akbar et al. (2015). 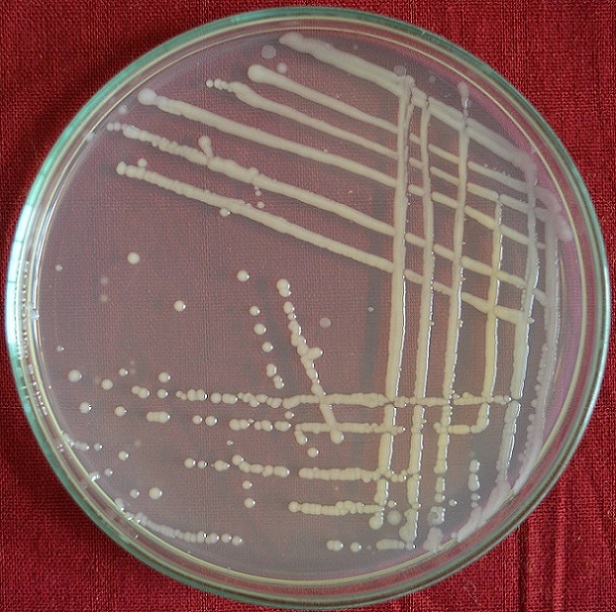 The resulting bacterial colonies were whitish to dull white, mucoid, raised and slimy on nutrient agar (Fig. 3). Ten isolates, one from each sample were identified as Gram-negative and anaerobic. In biochemical tests performed according to Brenner et al. (2004), all isolates were positive for catalase and nitrate reductase, and used citrate, glucose, lactose, maltose, malonate and celloboise, but were negative for oxidase, indole and acetoin tests. They produced mucoid growth on Luria Bertani medium, grew at 37°C and on 5% NaCl. To confirm pathogenicity, bacterial suspensions (100 µl, approx. 108 CFU/ml) were injected into whole roots and pipetted onto 5 mm thick carrot slices (Michalik et al., 1992) and incubated at 30°C and 90% relative humidity in a growth chamber. Sterile distilled water was used as a negative control. Water-soaked lesions developed on whole roots after three days, leading to soft rotting with a foul odour after four days (Fig. 4). Brown lesions were observed on carrot slices after three days and the degree of rotting varied between different isolates. Bacteria with identical colony characteristics were re-isolated from all inoculated rotted tissues. Amplification of the 16S rDNA gene was done using universal primers fD1 (5′-GAGTTTGATCCTGGTCA-3′) and rP2 (5′-ACGGCTACCTTGTTACGACTT-3′) (Chen et al., 2004). A single amplicon of 1200 bp was obtained and sequenced (AgriGenome Labs Pvt. Ltd., India). BLAST searches showed 99 to 100% identity with Klebsiella variicola (GenBank Accession Nos. KF036184, MF370894, KX036863 and MF185379). Representative sequences of K. variicola from India were deposited in GenBank (MF179616, MF183971, MF183969, MF183973, MF183974, MF183970, MF183972, MF373424 and MF370068). Cultures have been deposited in NBAIM (National Bureau of Agriculturally Important Microorganisms), Uttar Pradesh, India, with accession numbers: TB-2579, TB-2580, TB-2581, TB-2582, TB-2584, TB-2585, TB-2586 and TB-2587. Klebsiella variicola was originally identified as a benign endosymbiont in plants but has since been associated with disease in humans and cattle (Rosenblueth et al., 2004). Fan et al. (2016) reported the occurrence of K. variicola causing banana soft rot in China. This is the first report of K. variicola causing soft rot on carrot in India. 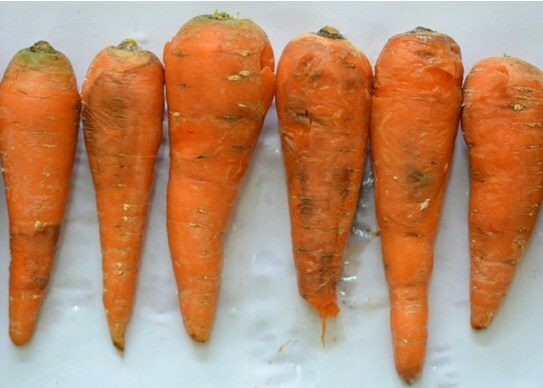 Figure 1: Field symptoms of bacterial soft rot of carrot caused by Klebsiella variicola. 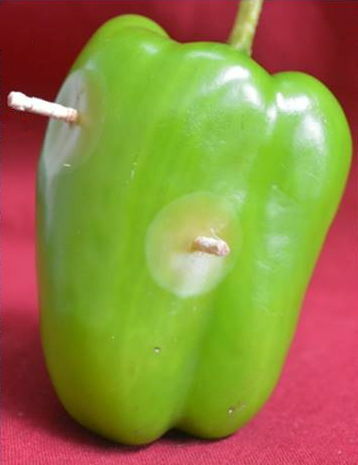 Figure 2: Enrichment of Klebsiella variicola in green pepper (Capsicum annuum). Figure 3: Colony morphology of Klebsiella variicola on nutrient agar. Figure 4: Pathogenicity of Klebsiella variicola on whole carrot roots. Brenner DJ, Krieg NR, Staley JT, Garrity GM, eds, 2004. Bergey's Manual of Systematic Bacteriology. Volume Two: The Proteobacteria. New York, USA: Springer. Michalik B, Simon PW, Gabelman WH, 1992. Assessing susceptibility of carrot roots to bacterial soft rot. HortScience 27, 1020-1022.